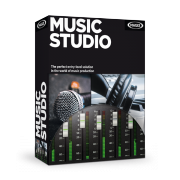 Music Studio 1, General Sequencer from Magix in the Music Studio series. Anonymous 's review (This content has been automatically translated from French)" I love this software & easy to use: 8/10 !!!" Installation is easy to use, even very easy for the beginner, amateur also: 10/10 !!! No incompatibility with: 10/10 !!! The manual is clear enough &: 10/10 !!! PDF !!! Pc assembly house: 10/10 !!! Sound Card Alesis io / 2 !!! The software works very well in its configuration: 10/10 !!! It is stable also: 10/10 !!! I use since February 2013: 10/10 !!! I aissay else as Cakewalk Music Creator of 4 and 5 !!! I aissay else like Cakewalk sonar home studio 7 xl & Sonar x1 & x2 essential essential !!! I aissaiy as Ableton Live Intro 8 !!! I aissaiy as FL Studio 10-line picture fruityloops & Producer edition !!! not at all easy for beginner & Amateur !!! 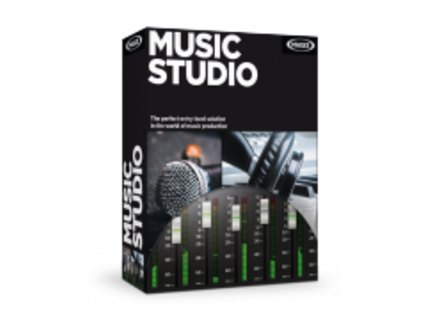 I do again my choice for Magix Samplitude Music Studio 2013 !!! Danke & Thank you: Magix & Audiofanzine: 10/10 !! !